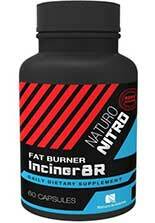 As the name hints, Inciner8R is a fat burning diet pill. It was developed by Naturo Sciences and the marketing material claims use of the product can offer several desirable benefits. Naturo Sciences admit good results will require diet and exercise, but claim the pills are powerful enough to “make weight loss a cake walk”. Inciner8R is also designed to function as an energy-providing pre-workout supplement, but it appears Naturo Sciences may have lost faith in their product’s ability to deliver results because they have dropped it from their website. At the time of this review it was still available via Amazon.com, but if production has been discontinued stocks may not last long. Caffeine Anhydrous (395mg): A popular stimulant that boosts concentration and increases energy levels. Caffeine is also a proven fat burner. The amount provided here is similar to that of four cups of coffee. Choline Bitartrate (200mg): An ingredient that is often added to nootropic supplements in the belief that its presence will increase mental focus. L-Tyrosine (150mg): One of 22 amino acids the body requires for protein synthesis. Large doses of L-Tyrosine can improve mental focus, but the amount included here is too low to be effective. L-Carnitine L-Tartrate (125mg): Research conducted at the University of Connecticut suggests L-Carnitine L-Tartrate can help provide a quick recovery after a gruelling workout. Dandelion Leaf (100mg): A plant extract that is high in vitamins and minerals. Dandilion is a diuretic that can encourage the body to retain less water. This can create the illusion of weight loss, but water levels will return to normal when supplementation is ceased. Juniper Berry Extract (100mg): Also a diuretic. L-Theanine (100mg): An amino acid that may assist weight loss by offering protection against the stress that can lead to comfort eating. Bacopa Monnieri Extract (100mg): An ingredient that is believed to be good for reducing anxiety. Theacrine (80mg): A stimulant that is naturally occurring in tea and coffee and is not dissimilar to caffeine. Citrus Aurantium Extract (50mg): A citrus fruit extract. The active component is a stimulant called synephrine. It’s a proven fat burner, but this formulation already contains a lot of stimulants and this may be a cause for concern. White Willow Extract (50mg): An ingredient that has more value as a painkiller than it does as a weight loss aid. Acetyl L Carnitine (25mg): An amino acid that is believed to have metabolism boosting abilities. Theobromine (10mg): A mild stimulant and mood enhancer found in cocoa. Huperzine (150mcg): A plant extract that appears to be capable of boosting cognitive function. How to Use Inciner8R – New users should begin with one capsule per day, taken with water. If no ill effects are experienced it is permissible to take two capsules once per day. 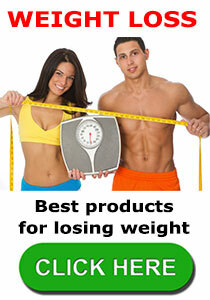 For general weight loss the capsules should be taken before breakfast. Alternatively, it is permissible to take the capsules, just before training, to provide a pre-workout energy boost. There are over 1000 reviews on Amazon.com, most of them are unusually long and award Inciner8R a 5-star rating. Whenever we encounter a lot of lengthy reviews we usually discover the manufacturer has initiated the review process by offering customers a discount in exchange for feedback. Many of the 5-star reviewers admit this is the case and some customers even claim they received the product free of charge. A number of customers claim the pills caused side effects, so we suggest consulting a physician before using Inciner8R as an aid to weight loss. A Google search will reveal a number of websites that appear to sell the product, but looks can be deceiving. The product is only available via Amazon.com. All of the sites that seem to be marketing the product have been created by Amazon affiliates who are trying to drive traffic to the Amazon sales page in order to earn a commission. At the time of this review the price was USD$ 24.97 (CAD$ 32) for a 30-day supply of pills. The manufacturer’s website states they offer a 30 day money back guarantee but, bearing in mind they seem to no longer be marketing the product, it may be easier for dissatisfied customers to make a claim using the Amazon Returns Policy. Inciner8R contains so many stimulants it should have the ability to boost energy levels and improve mental focus. The formulation should also be able to speed up the metabolism and increase calorie burning abilities, so weight loss results should be improved. However, forcing an excessive amount of stimulants into the body is neither the best, nor the safest, way to lose weight. If you looking for a pre-workout supplement then we suggest you look at Instant Knockout. Developed by actual users Instant Knockout is extremely popular with both men and women who train or workout. 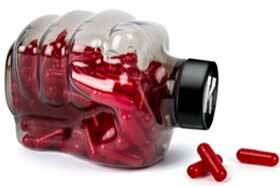 Instant Knockout is very eye catching with it’s fist shaped bottle. This entry was posted in Muscle & Strength and tagged Inciner8R Australia, Inciner8R Canada, Inciner8R Coupon Code, Inciner8R Negatives, Inciner8R Results, Inciner8R Side Effects, Inciner8R Testimonials by admin. Bookmark the permalink.